The two largest college ministries, Cru and InterVarsity, have announced a desire to work together to reach every campus in the U.S.
Jason Thomas, the Executive Vice President of Field Ministry for InterVarsity (the Chief Ministry Officer for InterVarsity), made the announcement to 4,000 Cru staff at Cru17, Cru’s biennial staff conference. Jason Thomas shared how in the last couple years InterVarsity has undergone significant changes. We’ve been trying to ask our directors to not think about how many campuses do you have (what is) to how many campuses are in your scope (what could be). It’s very clear – that our focus has become every campus in the nation. So we’ve been asking how can we reorganize around that vision? It’s led to a lot of new leadership. 90% of our IV executive leadership team is new to their job in the last 10 months (among the 25 leaders at the VP, Executive VP, President level). Could we together think about every campus? Could we mobilize people to pray on every campus? We’re praying for revival, renewal, a great awakening among the 23 million college students and faculty in America. And I’m praying, “God, I want to be a part of this! Founded in 1941, InterVarsity is one of the oldest and largest campus ministries. 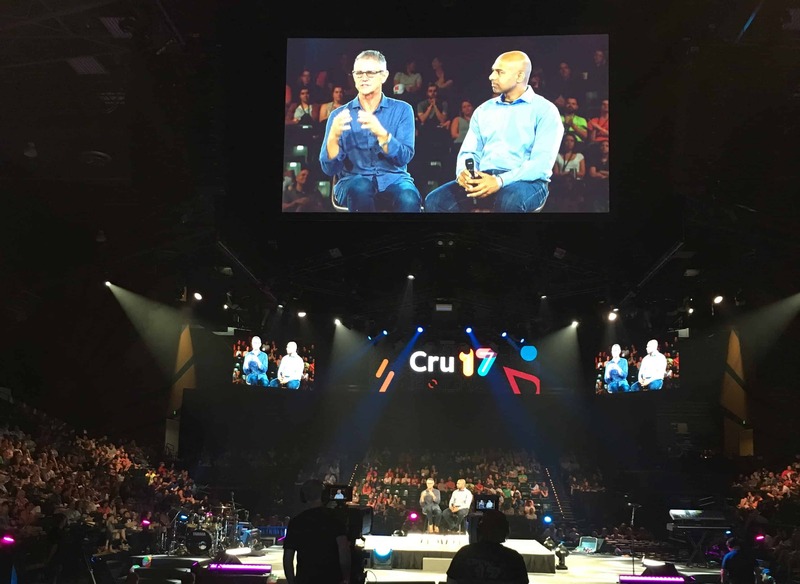 Cru started in 1951 and is the largest missions organization in the world. In 2015-2016, InterVarsity was on 667 campuses, with over 41,000 students involved, and 1,329 Staff. Cru is on 758 campuses and has roughly 68,000 students involved and 4,000 U.S. campus staff. May God use this new partnership to reach more college students with the gospel on more campuses! Do you see this as a good thing? It seems over the past couple decades IV has gotten more concerned with social justice and less concerned with gospel witness. I know gospel witness has been central to cru’s identity since its inception. Praise the Lord for its continual witness, I hope this partnership does not compromise it! But your the insider, what do you think? It seems like they are like minded in wanting to get the gospel to every student on every campus. One thing I think they’re far ahead of us on, is reaching ethnic minority students.